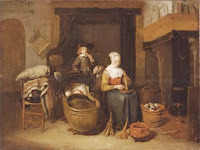 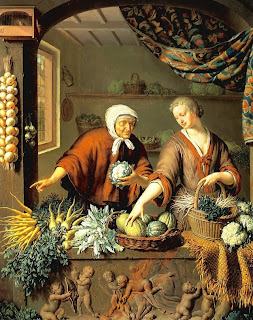 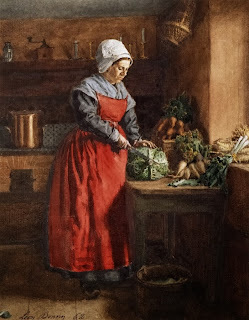 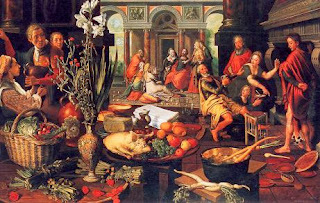 From the 16th century - "Christ in the Home of Mary and Martha by Pieter Aertsen. 1553 (Museum Boijmans Van Beuningen, Rotterdam). 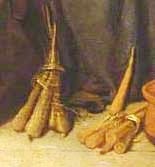 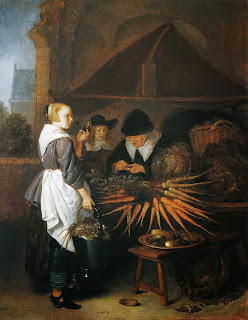 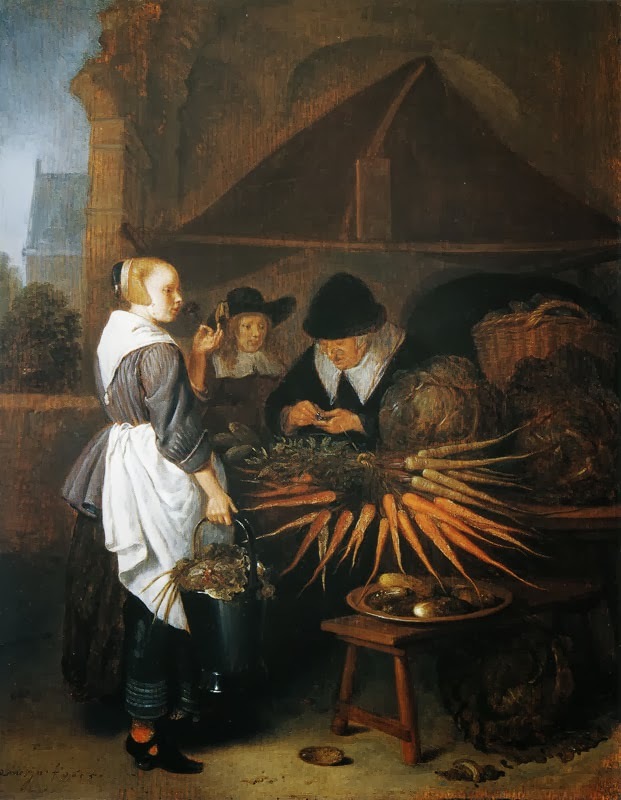 In the front right corner are orange carrots in the pot, and white on the table.